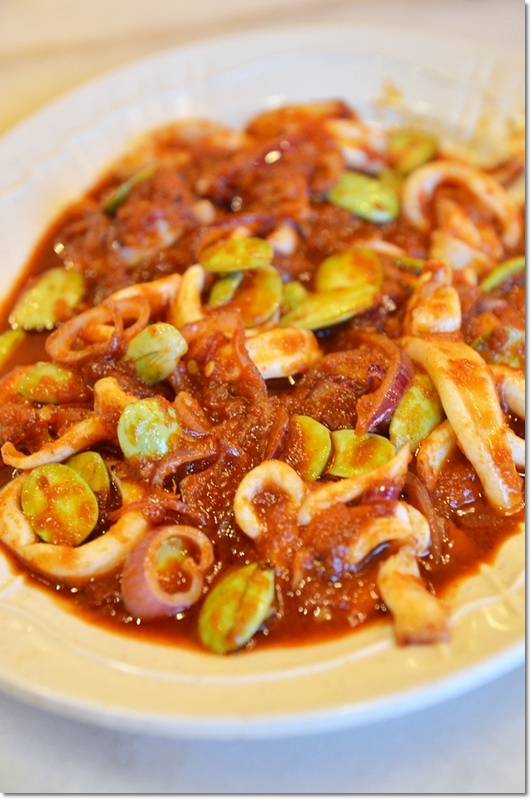 Sambal Petai with Sotong (RM26/USD8); one of my ultimate comfort food. Okay, so there’s the stink, but we are Malaysians okay?! Petai (some call this stinkbeans), durian, budu and cincalok to us are a smorgasbord of wonderful flavours. Like how the French love their cheeses. Midweek blues? Blast that away with the thought of a beautiful weekend ahead! Although the next weekend should be even better, with two public holidays 3 days apart, nothing should stop you from exploring Malaysia this weekend. To start the inspiring story flowing, let’s finish up the Melaka 2013 chapters with a restaurant serving Nyonya cuisine in Melaka Raya. 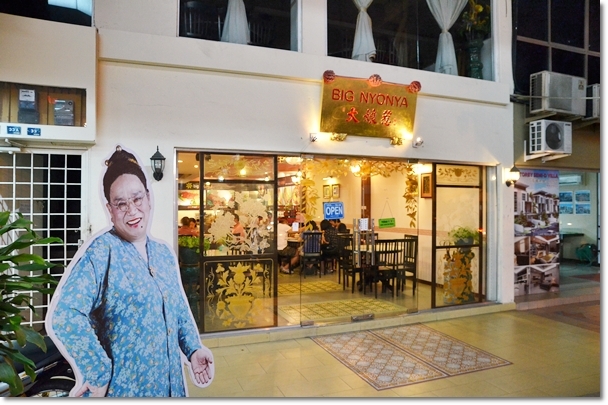 Big Nyonya was previously known as Kenny’s Delight, a venture started off by the famous face of Baba & Nyonya series; Kenny Chan. Changing the name and moving to this premise in Taman Melaka Raya, the restaurant is situated in a vicinity dense with renowned Nyonya restaurants such as Ole Sayang and Nyonya Makko. Ayam Pongteh (RM16/USD5); a hallmark of authentic Nyonya cuisine is cooked to a satisfying degree at Big Nyonya. The addition of shiitake mushrooms appeared to be weird, but did not steal the thunder away from the sweetish gravy of soy bean paste loaded with soft boiled potatoes. After several disappointing runs at the other big names of Nyonya food scene, Big Nyonya seemed to be a fairly good choice. Yes, I do have to admit upfront that the price is slightly above average, but Nyonya fares never come cheap in Melaka anyway. 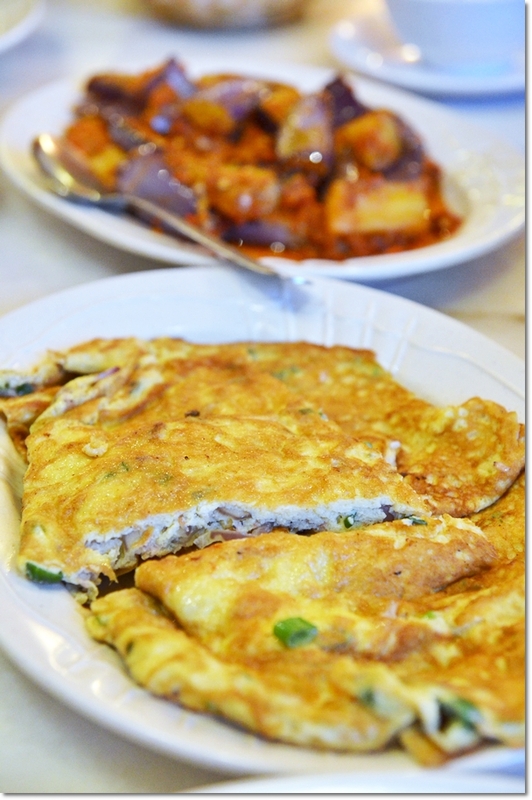 Unless, you’re of Peranakan heritage and your grandmother cooks them fresh in her kitchen! This was my second time at Big Nyonya, and the place was actually attracting more Malays than other races. Maybe because of its Halal status. But then again, bear in mind that there will be no babi pongteh though. They make really good and relatively spicy chili paste (sambal) here at Big Nyonya, evident from the sambal petai with sotong and the terung goreng cili. The former was a piquant combustion of spicy, sour, savoury and slightly sweet (from the shallots no doubt) flavours, accentuated many folds by the crunchy petai. 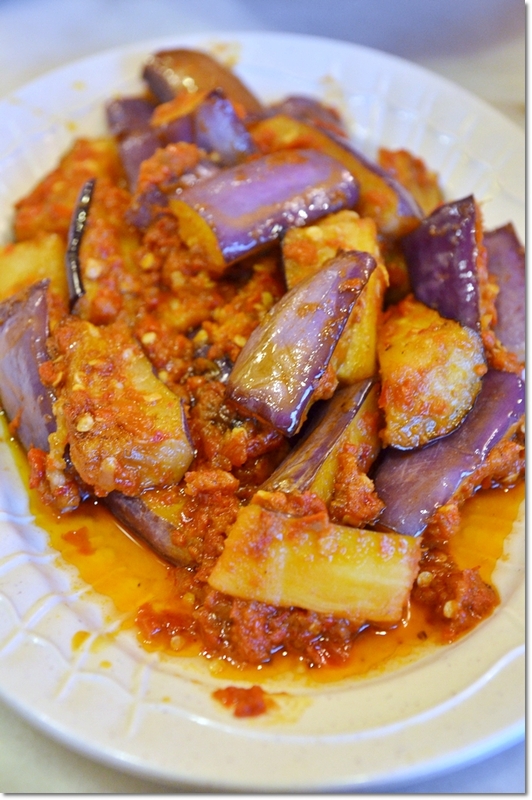 The fried brinjals with chillies however was slightly off the mark, being soaked in oil and tasted rather bland. The ayam pongteh was much better and went well with copious amount of white rice. Nothing gets the homely soul more comforted than chicken and potatoes, really. 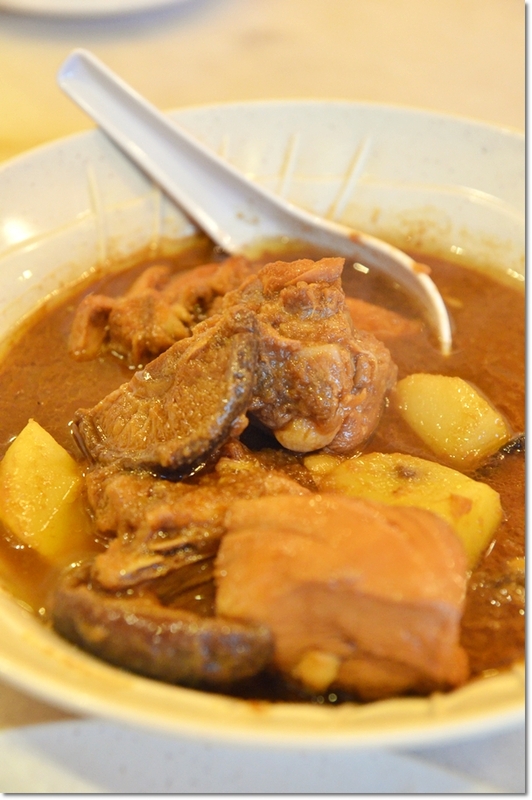 This is a stew-like dish that represents the Nyonya cuisine well. Telur Cincalok (RM10/USD3) – Cincalok (fermented small shrimps with chilies) lightly infusing the omelette with a saltish tinge, yet not to the point of being overwhelmingly disastrous. The egg omelette with cincalok was not what you usually expect from a strong condiment like cincalok (a really pungent condiment, maybe worse than petai if you’re not aware! ), being rather mild and suited for even children. A good way to introduce your children to the acquired taste. The meal for 3 came to RM82/USD27, including drinks of cendol with gula melaka (not bad, but really small bowl). Definitely worth a try if you are keen on trying Nyonya fares and the conventional fan favourites seem to bore/disappoint you more often than not.